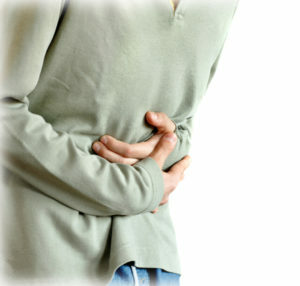 Gallstones can cause excruciating upper abdominal pain, nausea, fever, and sweats. But what causes gallstones and who is at risk? And is there anything you can do to reduce your risk? What causes gallstones? Although the process is not fully understood, gallstones occur due to an imbalance in the substances that make up bile: cholesterol, bilirubin, and bile salts. Gallstones are solid deposits in the gallbladder, a small pear-shaped organ that sits beneath the liver. 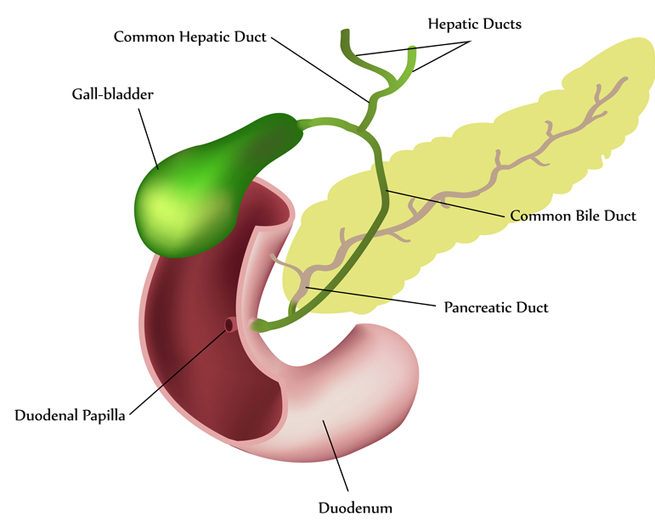 The gallbladder has a simple function: to store and concentrate bile, a digestive enzyme made by the liver. In the United States, between 1 and 3 percent of adults develop gallstones each year and about 500,000 people develop symptoms or complications requiring gallbladder removal, or cholecystectomy. But what causes gallstones? Gallstones—the medical term is cholelithiasis—can range from the size of a grape seed through to that of a golf ball. An individual may develop one stone, several, or even hundreds. Most people are unaware that they have them until a “stone” starts to move into the ducts that connect it to the bowels, and they develop a blockage bile duct or inflammation of the gallbladder (cholecystitis), a condition sometimes known as a gallbladder attack. Symptoms of a gallbladder attack may include severe pain in the upper abdomen, nausea, vomiting, sweats, fever, and chills. Although the process is not fully understood, gallstones occur due to an imbalance in the substances that make up bile: cholesterol, bilirubin, and bile salts. The liver produces three chemicals that are involved in the formation of gallstones. Two are waste products—cholesterol and bilirubin (calcium bilirubinate). The third: bile salts that dissolve the cholesterol and bilirubin. Imagine you have a bucket of water and you add a little soil and stir it. The soil will dissolve, turning the water into a brown solution. If you keep adding more and more soil, there will reach a point where no more soil can dissolve: The solution becomes saturated and a sludgy sediment begins to form. This is like the gallbladder, only when the fluid in the gallbladder becomes saturated with cholesterol or bilirubin, crystals begin to form in the “sludge,” and they then grow into gallstones. If there are enough bile salts, crystals will be dissolved and gallstones prevented. Most gallstones develop in the gallbladder and cause problems as they pass through the bile duct, but occasionally stones form within the bile duct—common bile duct stones. Pigment stones. These are dark brown or black and made of insoluble calcium bilirubinate. Calcium bilirubinate is produced when there is excessive breakdown of red blood cells or cirrhosis of the liver. They constitute 10 to 20 percent of the gallstones cases in the U.S. Pigment stones can also form as a result of infection, due to bacterial infection of the biliary tract or, very rarely, due to liver fluke infestation (more prevalent in parts of Southeast Asia). Mixed stones. Here there is a combination of cholesterol and pigment stones. This condition is usually the result of chronic gallstones becoming colonized with bacteria, which in turn leads to inflammation of the gallbladder lining (mucosa). Who Is at Risk of Gallstones? Female gender. More women develop gallstones, than men. It is thought that this is due to estrogen increasing cholesterol and decreasing gallbladder contractions. The incidence is high in women who are pregnant or who are taking hormone replacement therapy (HRT) or contraceptive pills. Age over 40. The incidence of gallstones begins to rise over the age of 40 and is rare in younger people, because metabolism changes as we enter the fifth decade. Race. Here the “Four Fs” rule gets it a little wrong. American Indians and Mexican Americans are at highest risk, due to genetic differences in metabolism. Next are those of Northern European origin. Obesity. Obesity is associated with increased levels of cholesterol in the bloodstream and in bile and is a significant risk factor for gallstones. Genetics. 25 percent of gallstones are familial, due to a combination of genes which affect metabolism. Rapid weight loss. When the body loses weight rapidly, excess cholesterol is secreted into the bile and gallbladder-emptying slows. Those on low-calorie diets or post-bariatric surgery are most at risk. Diet. A diet high in processed foods, rich in calories and fat, and deficient in fiber may increase the risk of high cholesterol and slightly increase the risk of gallstones. Bowel diseases. Diseases such as Crohn’s disease are associated with an increase in gallstones because they affect absorption of nutrients. Insulin resistance. Metabolic syndrome and diabetes increase the risk of gallstones and their complications. High spinal cord injuries. These affect gallbladder emptying and predispose to gallstones. Medication. Estrogens and lipid lowering drugs such as clofibrate and statins increase the risk of gallstones. Cirrhosis of the liver. Cirrhosis of the liver due to alcohol consumption or other damage or injury, may also damage the spleen (leads to high hemoglobin turnover). Infections in the bile ducts and gallbladder. This which usually occur secondary to chronic gallstones. Hemolytic anemias. Some conditions cause excessive breakdown of red blood cells and the production of heme and bilirubin. Examples include: Sickle cell anemia, beta-thalassemia, hepatitis, leukemia and lymphoma. According to research, there are many risk factors for gallstones that you cannot change, but maintaining a healthy weight, exercising regularly, and eating a healthy diet may reduce your risk, a little. Decreasing your intake of highly refined sugars, high fructose corn syrup, low-fiber foods, high-fat foods, and fast food. Increasing your intake of monounsaturated fats, olive oil and fish, fiber, vegetables, fruit (vitamin C rich foods), coffee, and moderate alcohol consumption. add, alcohol, alcohol consumption, anemia, bacteria, bacterial infection, calcium, calories, cholesterol, cirrhosis, cirrhosis of the liver, coffee, corn, corn syrup, diabetes, diet, digestive, digestive enzyme, estrogen, fast food, fiber, food, gallbladder, gallbladder attack, gallbladder attack symptoms, gallbladder removal, gallstones, healthy diet, healthy weight, hepatitis, high cholesterol, high fructose corn syrup, hormone, hormone replacement therapy, infection, inflammation, insulin, insulin resistance, leukemia, leukemia and lymphoma, lymphoma, metabolic syndrome, metabolism, nutrients, obesity, pain, processed foods, severe pain, statins, symptoms of a gallbladder, symptoms of a gallbladder attack, the gallbladder, vegetables, vitamin, vitamin c, what causes gallstones, what is cholesterol. I thought you might be interested in this article on https://universityhealthnews.com: What Causes Gallstones?